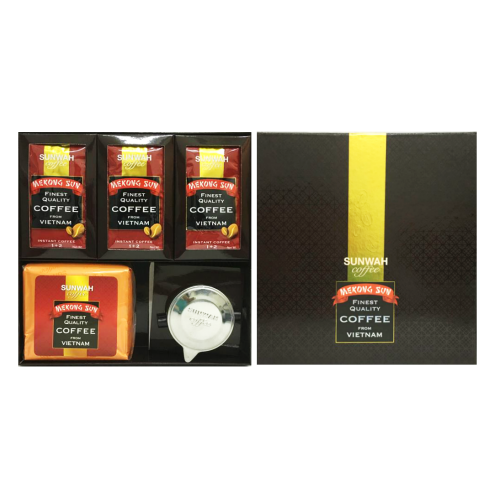 Package contains Sealed package Vietnam origin Bourbon Moka’ roasted coffee, a stainless steel Vietnam coffee drip cup, instant coffee mix. 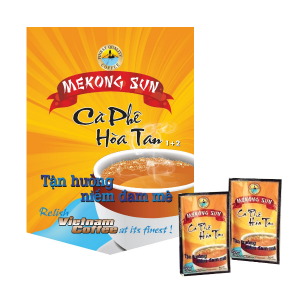 Our coffee is from the Central Highlands of Lam Dong Province in Vietnam, has traditionally been this species of the Arabica coffee carefully selected by French settlers. 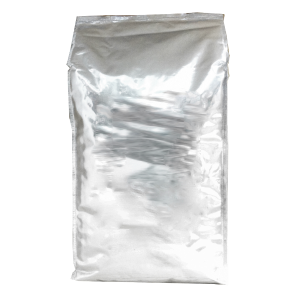 We emphasize pure genuine coffee products that adds NOTHING to the coffee beans before, during, and after roasting.